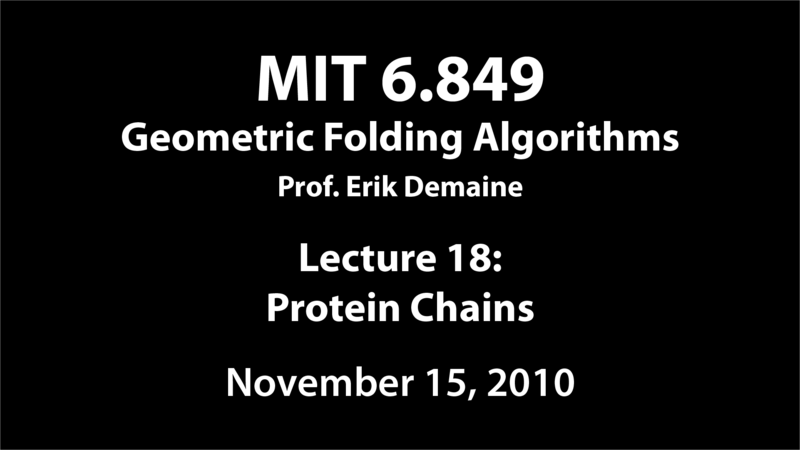 [+] Protein folding: Fixed-angle linkages, tree, and chains; span; flattening; flat-state connectivity, disconnectivity of orthogonal partially rigid trees, connectivity of orthogonal open chains; locked fixed-angle chains; producible protein (fixed-angle) chains, ribosome, β-producible chains, helix-like canonical configuration, flat states are producible, producible states are connected. Span: What's the farthest or nearest you can fold the endpoints of a fixed-angle chain? Flattening: When does a fixed-angle chain have a non-self-intersecting flat state? Flat-state connectivity: When can a fixed-angle chain be folded without self-intersection between every pair of flat states? 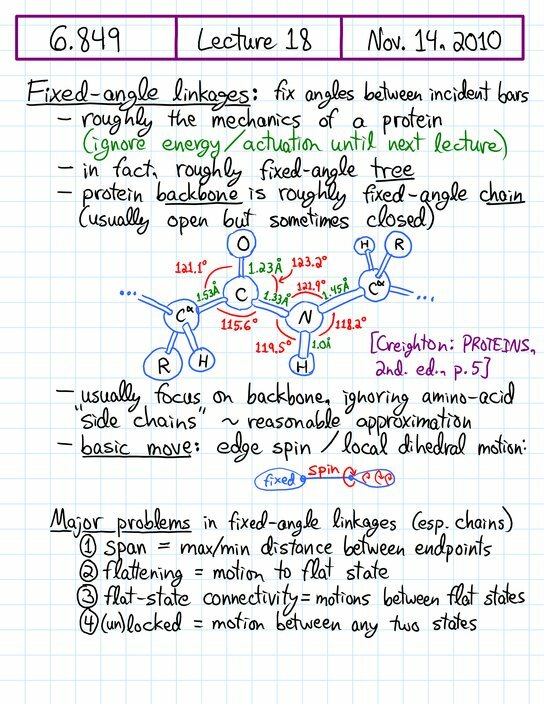 Locked: When is a fixed-angle linkage locked? 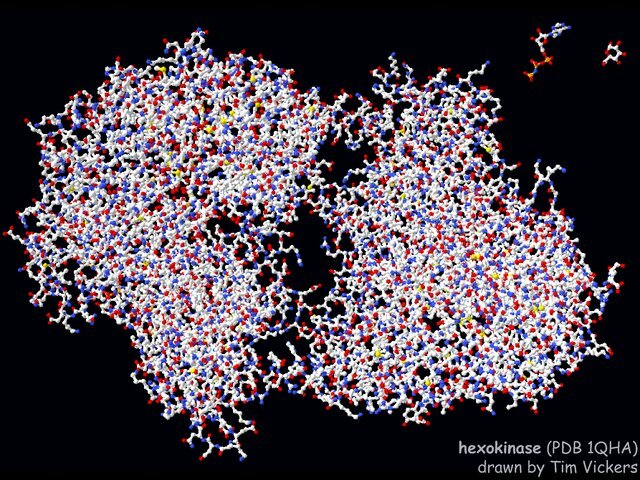 In particular, we'll show that all states of a fixed-angle chain producible by a simple model of the ribosome (which includes all flat states) can reach each other. A lot is known about each question, though many problems remain open.